Fd homes for sale in Holiday City Silverton, in Toms River, NJ. 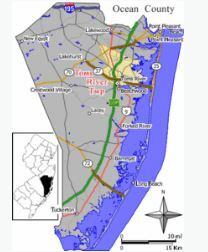 This is an 55+ Active Adult Over 55 community in Toms River, Ocean County, NJ. Built throughout the 1960’s and early 1970’s, there are almost 1600 homes in Holiday City Silverton. Also, this was one of the first active adult communities in the area. There are single family homes, with either 1 or 2 bedroom, some with a garage, prices start $100,000. Home sizes are between +-800 sq ft to 1,100 sq ft. The association fees are very low, less than $50 per month. In addition, your pets are welcome here. Holiday City Silverton consists of two communities – Holiday City Association (Phase I) and Holiday City Organization (Phase II). Phase I has 602 homes, however there is a one time admission fee. The office # is 732 255-1006. Phase II is 900+ homes, and it also has a one time admission fee. There is a pool as well as clubhouse and second lake. You can contact the association at 732 255-2221. When you take into account the low taxes and low homeowners fees, this makes these two communities a very attractive destination. Both associations share the same clubhouse, and the two communities have events which are open to residents of the other community. At the clubhouse you’ll find a lake with a beach and a screened in gazebo. Additionally, there are meeting rooms for get-togethers, shuffleboard courts and a miniature golf course. However, there isn’t a pool at Holiday City Silverton. But, the beaches at the Jersey Shore are nearby. When you’re ready to either buy or sell a home in Holiday City Silverton,, contact us. Call Bunny and Art Reiman – the Active Adult Community Specialists.